Chrome finish with standard threaded end for hose connection to most chrome hoses. Multi function spray controlled by rotating the level beside the rose. This elegant and stylish hand shower is the same as fitted to AquaLusso Alto and OPus shower and steam shower cabins released in Summer 2013. 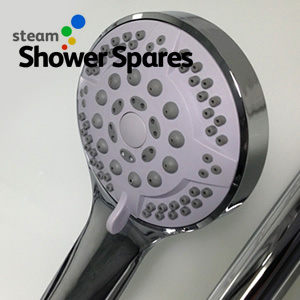 Compatible thread to most standard shower hoses.